Winner of the CNRS/ANVIE Prize for the scientific research valorization (Malek Boualem & Stéphane Harié), 1996. Speech in the French National Assembly (see page 15, Malek Boualem) about new information and communication technologies in the framework of the Mediterranean Union Project, October 2008. More than 70 scientific publications in international journals and conferences. Member of the Director Board of ATALA (2003-2009). Member of many scientific committees for national and international conferences and journals. Expert evaluator for many scientific projects submitted to French, European and Canadian research and funding programs. Senior research expert in natural language processing, machine translation (rule-based MT), cross-language information retrieval (CLIR), Arabic language processing, multilingual text editing & processing and internationalization and localization of NLP tools. Senior research expert in the France Telecom Orange Labs research center. Project manager of many research projects in the France Telecom Orange Labs research center. 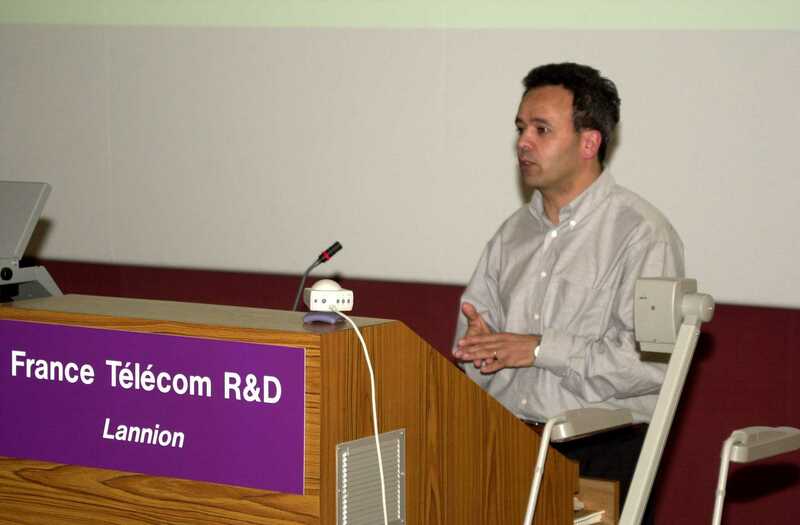 Supervision of theses, postdoctoral positions and engineer trainings at France Telecom Orange Labs. Member of several thesis juries in computer sciences in France and Algeria. Teaching at university and high schcools for 12 years (1988 to 2000) : computer science, mathematics, statistics, information systems, databases, natural language processing, machine translation, etc. Engineer degree in computer science, Setif University, Algeria, 1986. Master degree (DEA) in computer science, Nice University, France, 1987. PhD degree in computer science (machine translation) prepared at INRIA Sophia Antipolis and defended in Nice University, France, 1993.